Take in the views from a terrace and make use of amenities such as complimentary wireless Internet access and a television in a common area. Additional features at this hostel include tour/ticket assistance and a picnic area. With a stay at Azuline Hotel Palmanova Garden, you'll be centrally located in Calvia, within a 10-minute drive of Katmandu Park and Palma Nova Beach. 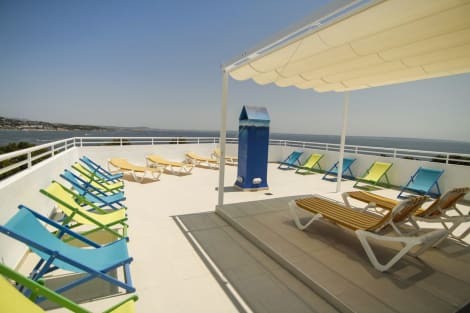 This hotel is 2.8 mi (4.5 km) from Puerto Portals Marina and 6 mi (9.6 km) from Cala Mayor Beach.